The present study aimed to isolate an optimal lactic acid bacterial strain from the feces of healthy giant pandas. The strain exhibited good stability at low pH and high bile salt concentrations, activity against pathogens relevant to pandas, and antibiotic susceptibility. In the current study, 25 isolates were obtained from de Man, Rogosa, and Sharpe agar. Two (E21 and G83) and eight (E1, E2, E16, E18, E21, E69, E70, and G83) isolates demonstrated good performance at pH 2.0 and bile 2% (w/v), respectively. Three isolates (G83, G88, and G90) possessed better antimicrobial effect on enterotoxigenic Escherichia coli CVCC196 (ETEC) than the rest. 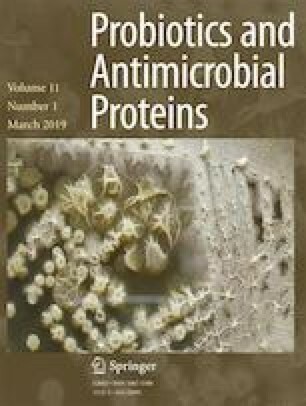 One isolate (G83) strongly affected Salmonella, whereas three (G83, G87, and G88) exhibited inhibitory activity against Staphylococcus aureus. All isolates were multi-drug resistant. These isolates were identified as Lactobacillus (5 isolates) and Enterococcus (20 isolates) by 16S rRNA sequencing. Virulence genes were detected in Enterococcus isolates. Isolate G83 was identified as Lactobacillus plantarum and was considered as the best probiotic candidate among all of the experimental isolates. This study provided necessary and important theoretical guidance for further experiments on G83 in vivo. Xueqin Ni, Qiang Wang and Zhirong Peng are joint first authors. The present study was supported by the National Natural Science Foundation of China (31672318) and the Funded Project of Chengdu Giant Panda Breeding Research Foundation (CPF2014-15, CPF2015-06).